An accomplished private investor and philanthropist, Scott Reiman has demonstrated a strong commitment to economic and cultural growth in the Denver area throughout his career. Following graduation from the University of Denver, Scott Reiman founded Hexagon, a private investment company that works in real estate, oil and gas, private equity, and venture capital, among other sectors. 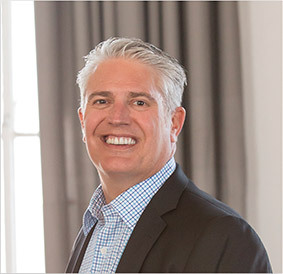 Through Hexagon, Scott Reiman has contributed to several commercial and residential projects throughout the greater Denver metropolitan area. The company has financed a number of landmark projects, including the Market Street Center, Larimer Square, Streetcar Stables, and the LoDo Parking Garage. In recognition of Hexagon’s contributions, it earned the 1998 Downtown Denver Award. He continues to serve as the CEO of Hexagon. Outside of his work at Hexagon, Scott Reiman sits on a number of different boards for Denver organizations. At present, Scott Reiman holds board and leadership positions with the Denver Art Museum, ACE Scholarships and Graland Country Day School. Previous board and leadership positions include University of Denver and Rocky Mountain Public Broadcasting Network. Scott Reiman additionally serves as the president of the Reiman Foundation, a nonprofit organization that provides support to a wide range of philanthropic causes throughout the United States. The foundation has four primary areas of focus: arts, education, healthcare, and children’s initiatives.